Our Latin family loves soccer like nobody's business. From watching the game to every kid growing up playing soccer, futbol is part of our family culture on all sides! So it might not come as a surprise that our dog Cooper loves soccer just as much as we do. 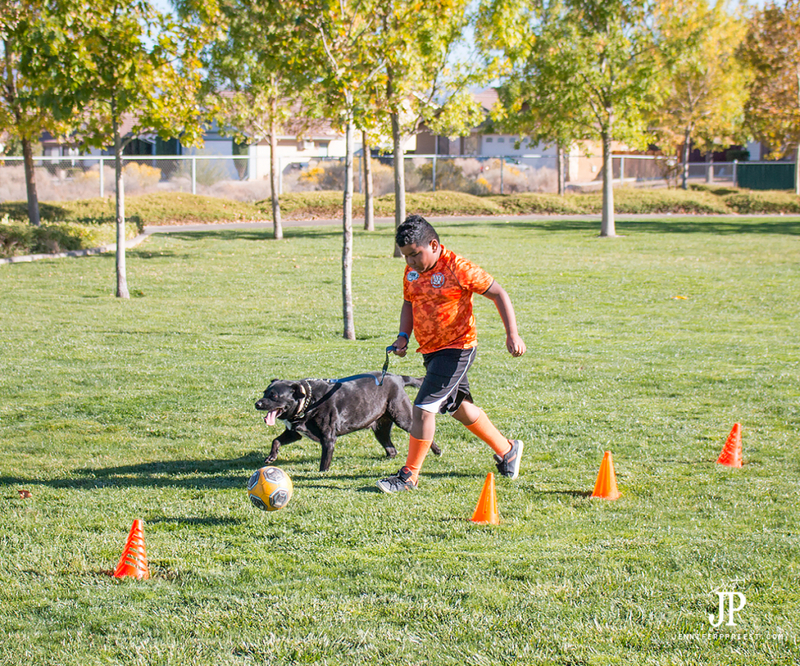 We stay active with trips to the park, dribbling the ball between cones and shooting goals, and Cooper is always eager to join in on the play. 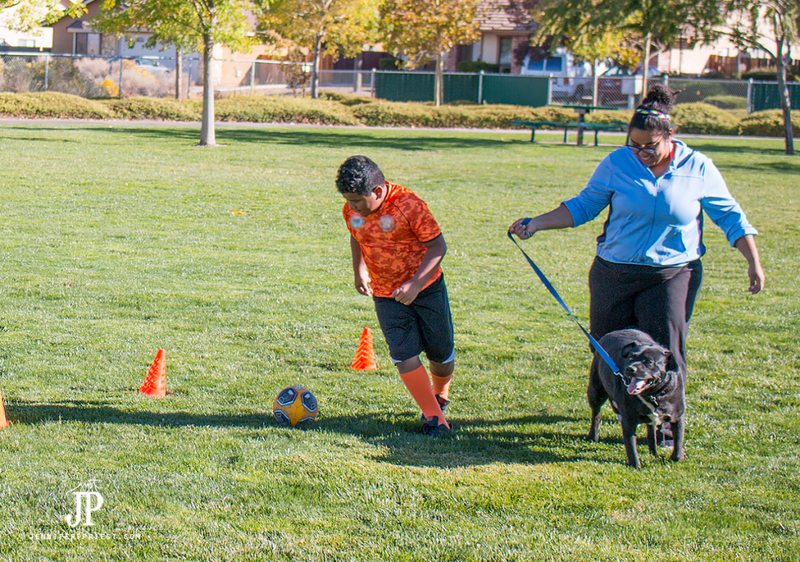 Why not get active with your dog as part of the game? 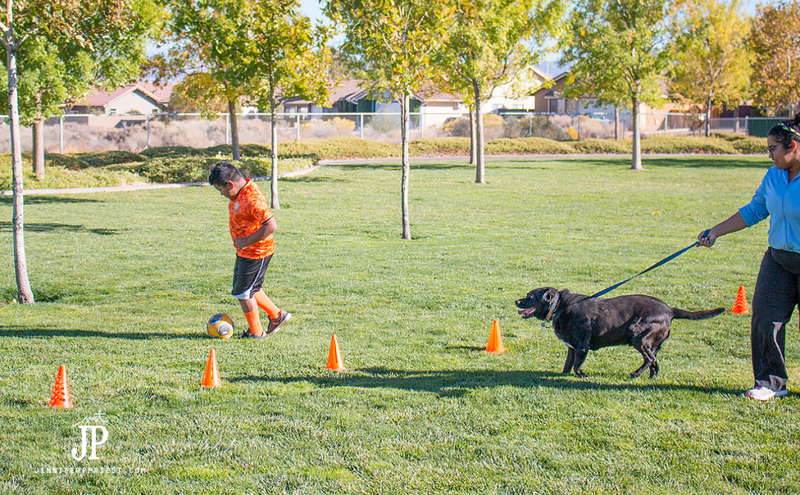 Today we're sharing tips for playing soccer with your dog, no matter your age. Growing up on my parents' ranch, we always had big dogs like Labrador Retrievers. Our dogs would venture out with us on horseback riding trips, trail behind us while we rode our bikes around the dirt roads in town, and chase balls and sticks. I wanted my kids to experience the same bond of a loving and adventurous companion as we had with our big dogs growing up. We adopted Cooper, our black Lab mix, about 6 years ago from a box in front of a grocery store. Now, in Mexican families, a lot of my relatives have Chihuahuas. I am not into small dogs probably because my grandpa had a really grumpy Chihuahua named Qantas. His only quality was that if you walked close enough to him, he would bite you. I never felt a bond with Qantas (I mean, really how could you when he just bit everyone?) so that's probably why I prefer big dogs. A dog that plays soccer or runs alongside your mountain bike, well, that's alot more fun than a lap dog in my opinion! 1. Set up cones and dribble the ball around them. 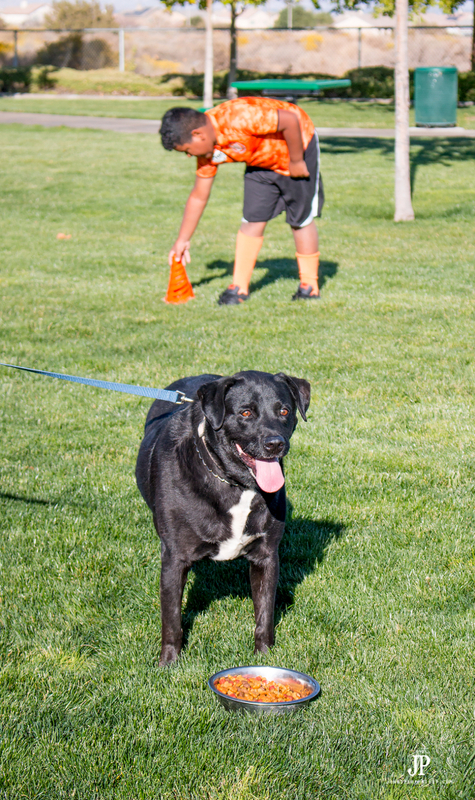 Hold the dog's leash as you run and weave through the cones. 2. Set up a goal and shoot the ball towards the goal. Your dog can run towards the goal as you shoot, chasing the ball. 3. Run sprints with your dog to build up your speed and his endurance. 4. 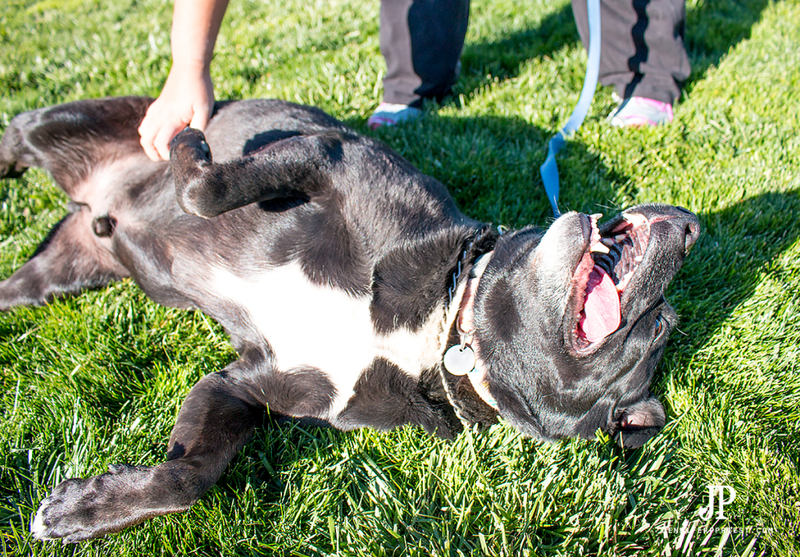 Reward your dog with belly rubs and treats as he completes circuits or running during your training session. 5. Keep food and water at the ready to keep him hydrated and fueled up for each session of active play. 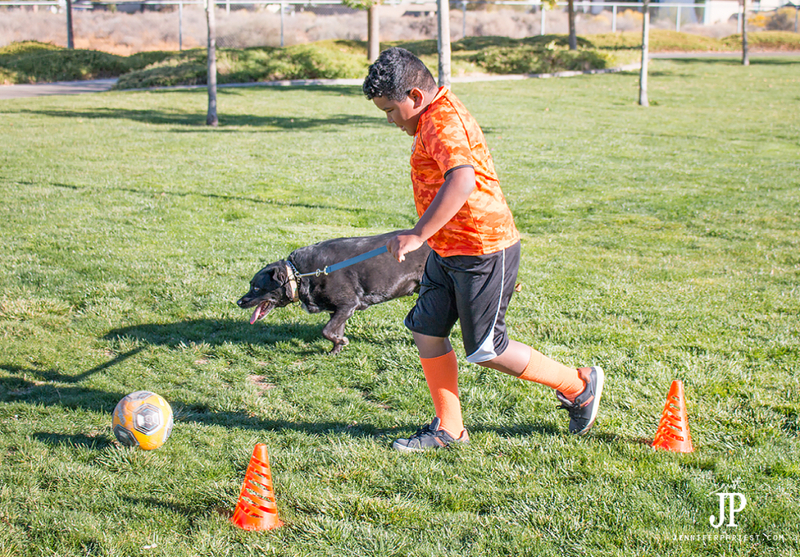 Now, playing soccer is a great way to get active and have fun with your dog but a quality, healthy lifestyle for your dog also includes the food you feed to them. That's why we chose Beneful Originals with Real Beef for Cooper. 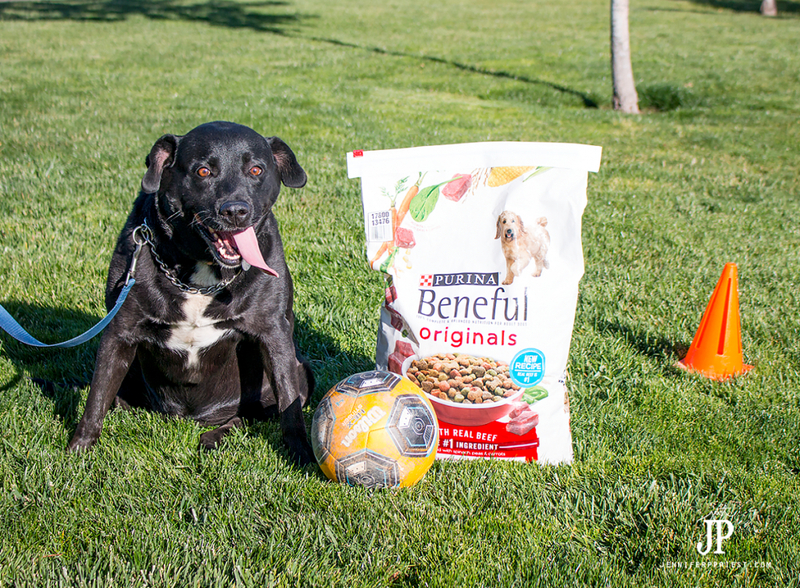 Made with real meat as the #1 ingredient, Beneful's new recipe helps fuel your pet's appetite for life by giving him the fuel he needs to keep up with the whole family while playing fetch, running through the park, or kicking the soccer ball. 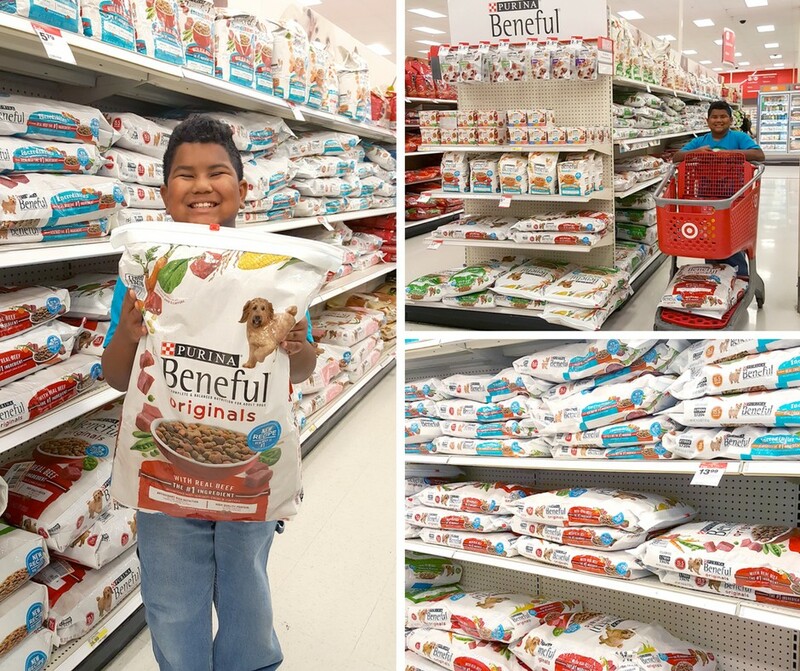 Pick up Purina Beneful at your local Target so your pet can get necessary nutrition without any added sugar. Beneful offers a money back guarantee to ensure satisfaction too! What's your favorite way to get active with your dog? I'd love to read your story in the comments.